Series 7 Wet/Dry Electric Shaver Black plus Travel Case is rated 4.6 out of 5 by 127. Rated 5 out of 5 by Colin from Does the job A solid body and vibrant cutting action that gets the job done. Glad I up stepped up after years of buying cheap shavers. Rated 5 out of 5 by Spinny from Excellent quality product! Excellent quality product, does exactly what is suppose to do. Another major factor is the price of it, for the wet and dry feature. You can't go wrong with Braun. 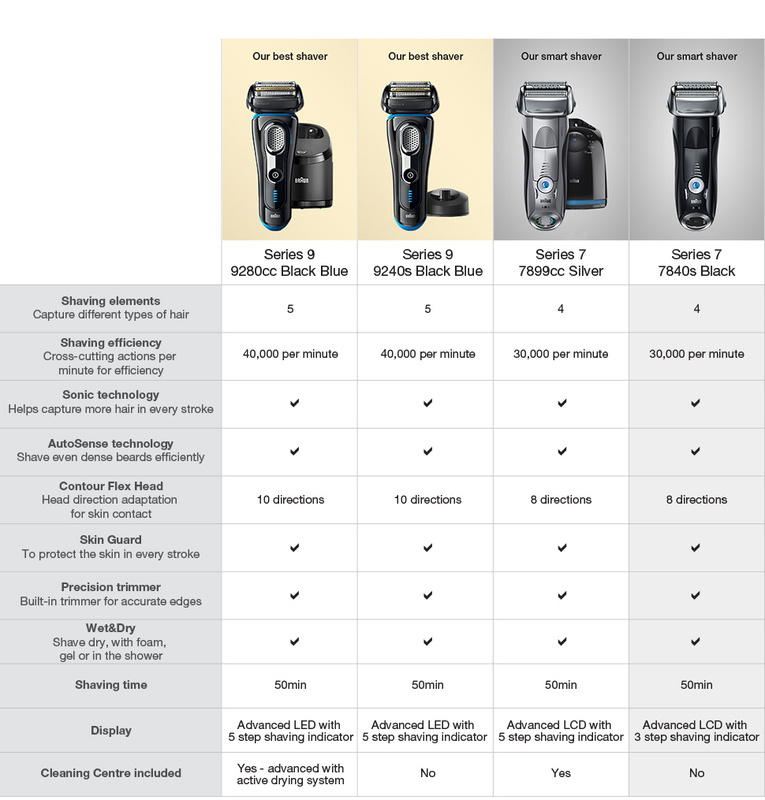 Can I shave with a series 7 plugged into a power point by cord ? How long would the battery last on this shaver (Braun Series 7), before it totally dies and won't recharge? I have the same shaver and have used it on average, once every 2 days, but the battery has died. Is this fixable? Hi, it talks about being for a beard? Is this suitable for shaving the daily stubble from a beardless chin each day? Thanks. My original Braun series 7 was purchased 1/9/17 &amp; was replaced 8/3/18 because it had become quite noisy. I now find the replacement has also become noisy despite regularly spray with Shaver Guard+ Also doesn't seem to be cutting as well-not heavy growth. does this razor only do close shaves? or does it allow you to trim your beard to different lengths also?